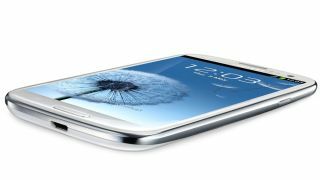 Samsung is about to help the whole of the mobile market, as it readies a new memory chip for handsets. Not only is Samsung responsible for the likes of the Galaxy S2, Galaxy Note and most recently the Galaxy S3, it also produces a wide array of components which are used by all mobile manufacturers. Its latest development is 4 gigabit 20 nanometer low power DDR2 memory. For those of you lost in the gobbledygook, it means Samsung is producing a 2GB RAM chip for mobile phones. To date, most next-generation handsets sport 1GB of RAM, including the Galaxy S3 and HTC One X, although you'll only find 512MB in the iPhone 4S and Nokia Lumia 900. What will this extra memory give us? Well the latest crop of handsets, with their quad-core processors, are lightning quick, but Samsung claims it "will help the market to deliver advanced devices that are faster, lighter and provide longer battery life than today's mobile devices." The new chip is reportedly 20% thinner than previous 2GB offerings, which will allow handset manufacturers to continue producing incredibly slender devices, able slide into the skinniest of jeans with ease. Samsung predicts the new memory will begin to ship later this year, which means we could see handsets sporting the new RAM by Christmas, but 2013 is really the time when this technology will be fully implemented.